Suffice to say, Metroid Prime: Federation Force was not the Metroid game anybody was expecting. Hell, it wasn’t the Metroid game anyone was really asking for. But that’s not the reason everyone is upset with Federation Force. The real problem is that Nintendo let us down with one of their most beloved franchises. Federation Force is not the new Battalion Wars game we all wanted. I mean, it’s obvious that Federation Force was originally going to be the next chapter in the beloved strategy series. Cute little color-coordinated soldiers taking on missions for a military organization? A more strategic game where multiple characters - one might say units - must work together to capture or destroy objectives? Vehicles that the troops can enter for ridiculous sports exercises? Aside from 50% of that last one, can we count these as mere coincidences? It’s clear Nintendo was paving the way for a new Battalion Wars game and somewhere along the way some bigwig decided that the Battalion Wars name just wasn’t going to sell. So they rebranded and reskinned everything to match the more popular Metroid franchise. From there the game continued to devolve until we were left with the Federation Force that we all know and justifiably despise today. Metroid Prime: Federation Force is a direct slap in the face to every Battalion Wars fan. We’ve waited nearly eight years for a new Battalion Wars wars game, and the game they showed us is this piece of garbage! It’s an absolute insult to the fans of Battalion Wars series, and fans have a right to be seething with rage over the existence of this game. Why should the Metroid series get a spinoff? If anything, our spinoff series should be getting a new game! Nintendo made a huge mistake creating something different from what we were all expecting and slapping the Metroid name on it. Their mistreatment of the Battalion Wars franchise is grossly inappropriate and deserving of any vitriol we throw their way. The only rational option we have as loyal fans of this beloved series is to complain and hate so loud that Nintendo has no choice but to go back to creating familiar experiences. It’s to that end that I’ve made a petition demanding that Nintendo change Metroid Prime: Federation Force to the true Battalion Wars game it was supposed to be. After all, it doesn’t matter that Federation Force is the Metroid spinoff game that we’re getting. What matters is that it’s not the Battalion Wars game that we thought we were getting. 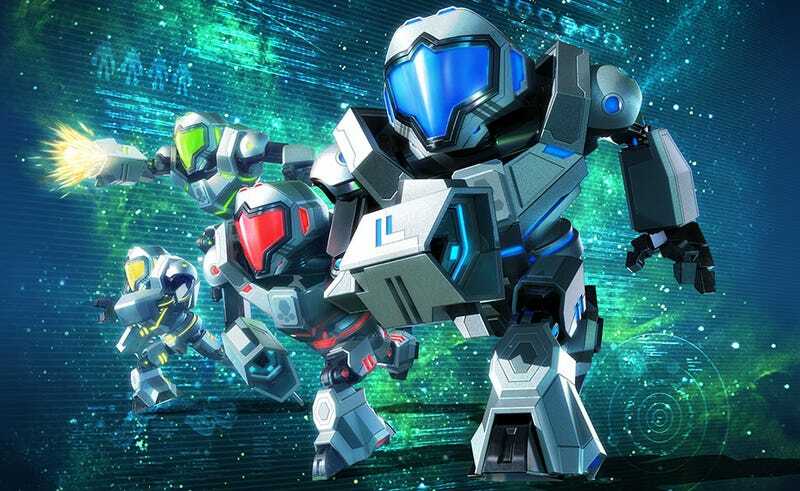 So fans are upset about Metroid Prime: Federation Force not out misplaced and inflated sense of disappointment, but because this otherwise minor branding oddity is actually detrimental to the series we know and love. It’s not enough to be mildly disappointed and move onto what looks like a fun game in its own right. No, true fans of the Battalion Wars need to kick and scream like noisy toddlers being dragged away from the toy isle at the local Walmart. It’s only then that Nintendo will realize that they should only cater to the the fans’ narrow preconceptions of what a franchise should be, rather than crafting new games and expanding a franchise to new experiences that might be interesting - possibly even fun - if we just gave them a chance. Also, when are we getting a new Custom Robo game, Nintendo? Way to drop the ball.